Five years from now, federal labor experts expect more than 1.4 million openings for technology jobs, but many of those positions could go unfilled because U.S. colleges are producing too few graduates with related degrees. We know young people like technology— from games to videos to social media— but how can we get students interested in working in technology fields? Evidence suggests that exposure to the creative world of computing is the best way to get kids interested in one of the country’s fastest-growing fields. Of course, STEM-focused projects, classes, and activities are giving Gwinnett schoolchildren that broad exposure to computer science and other technology and engineering fields. (STEM stands for science, technology, engineering, and mathematics). But a very targeted opportunity— just 60 minutes long— is helping demystify computer science and show that anybody can learn the basics. Celebrated during Computer Science Education Week, Hour of Code is just what it sounds like. Through easy-to-use games and activities, this international event shows students (and adults) that computer science is fun, easy, and accessible for all ages. At schools across Gwinnett County, kids got a taste of coding through engaging, hands-on activities with Hour of Code events. During the Computer Science Education Week (Dec. 7-13), we thank our STEM and technical education teachers who help students explore the possibilities for future careers and the educational opportunities that will open doors for them. Made with Code— Projects and encouragement for girls, who are underrepresented in the computing field. App Inventor— Write apps for your Android phone or tablet. Scratch— A free programming language from MIT. Check out video tutorials here. Khan Academy— Learn how to program and how to create webpages. And find more about coding and computer science in GCPS-produced parent tipsheets online, including ways to encourage girls to try computer science, tips for safe “surfing,” and GCPS’ Parent Control Resource Guide. 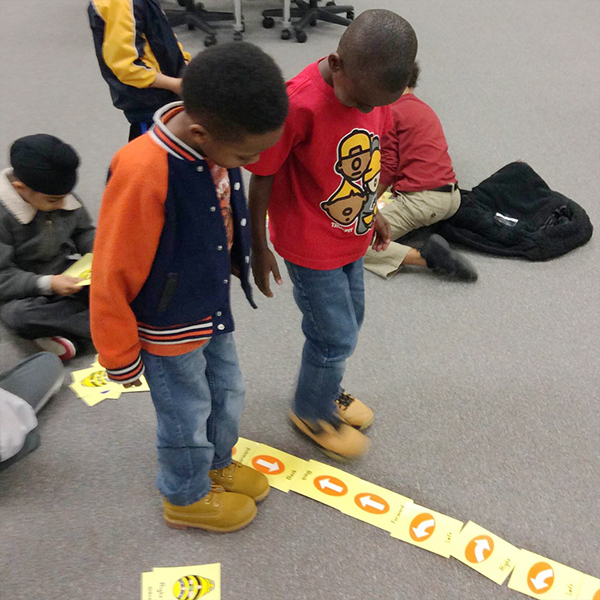 Students at Harbins and White Oak learn to code in a variety of ways.